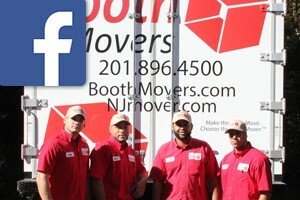 Since 1945, Booth Movers has been the most trusted name for New Jersey equipment moving services. With professional memberships and a ProMover certification, you can rest assured that our highly skilled team of New Jersey equipment movers has the training and experience to handle all of your specialized moving needs. Whether you are moving heavy industrial machinery or specialized equipment, our New Jersey equipment moving company understands the care and precautions needed to ensure a seamless relocation experience. Our New Jersey equipment moving company is a proud agent of Atlas Van Lines, one of the most respected names in the transportation industry. Through this affiliation, our experienced New Jersey equipment movers have access to a global network of moving professionals and the best tools of the trade to help you safely relocate your specialized equipment. With free on-site estimates and exceptional customer service, Booth Movers is the only choice for the best in New Jersey equipment moving services! Commercial Movers – Booth Movers is the premier commercial moving company in the Bergen County area, and we are committed to keeping your relocation on budget and on schedule! Office Moving – For office moves large or small, our experienced team of office movers will efficiently handle all the logistics of your business relocation. Business Moving – From local moves to international corporate relocations, there is no job too big or too small for our New Jersey business moving company! If you are ready to learn more about our premier New Jersey equipment moving services, give us a call today! You can also fill out our simple online form to connect with a moving specialist and request your free, no-obligation estimate!